Pocket money to cater for transport and daily upkeep. 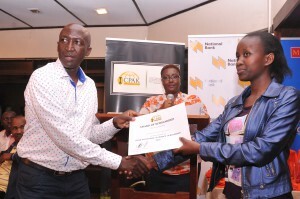 To maximize the impact of this scholarship and ensure sustainable change, ICPAK focuses on high potential secondary school graduates who have already demonstrated excellence in school and extracurricular activities but lack the finances to proceed with university education. 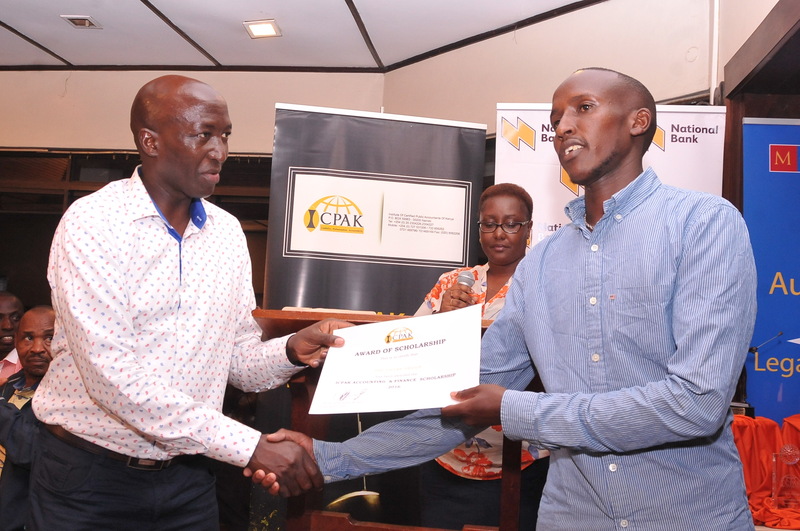 The ICPAK Scholarship targets high achieving needy students identified by assessing their performance at the nationally administered Kenya Certificate of Secondary Education examinations (KCSE). The Scholarship Implementation Committee uses the following selection criteria in identifying beneficiaries. Must be academically promising – Prospective scholars should belong to the top 10% of the most talented students in their school years, determined by their primary and secondary school academic achievement reports. They must have qualified with a minimum of B+ and above in the 2016 KCSE examinations. Must have been admitted to a local public university in Kenya. Applicant must be from a financially disadvantaged family that is unable to support university education. This is assessed through school recommendations, interviews, and, in some cases, visits to their local homes. In order to reach out to as many deserving students as possible, ICPAK creates awareness of the program through various ways including leveraging on the wide networks of our members. ICPAK also uses various channels of communication including the E-connect, the ICPAK website, the Accountant magazine and advertising in the print media. The ICPAK Scholarship is characterized by transparency and inclusivity. Application forms are available from the ICPAK website and from our Secretariat offices. Rigorous selection is then conducted by the Scholarship Implementation Committee whose mandate includes selection of the beneficiaries as well as tracking their academic performance and the general welfare once admitted in the program. Upon receipt of applications, the Committee reviews, shortlists and interviews to select students to receive the scholarship. A brief statement indicating why the applicant/family is deemed needy. Any other document to support financial incapability (e.g pay slip, death certificate, letter from the applicant’s Chief etc) which may aid the process. This is a cornerstone of this project, anchored on the belief that molding an all round person is by far more important than simply paying for them school fees. Every scholar will receive mentoring, training, and coaching and will become part of ICPAK’s network of future decision makers that will drive our country forward in an economic, political and social way. This is by ensuring that they receive good professional guidance capable of preparing and giving them a competitive edge in the local and global market. Application forms can be downloaded here or obtained from our Secretariat offices at CPA Centre, CPA Centre, 10th Floor, off Thika Road. Submissions must be done on or before 13th July 2017 to the CPA Centre or be sent on email to scholarship@icpak.com . More information on the scholarship can be accessed on ICPAK website.